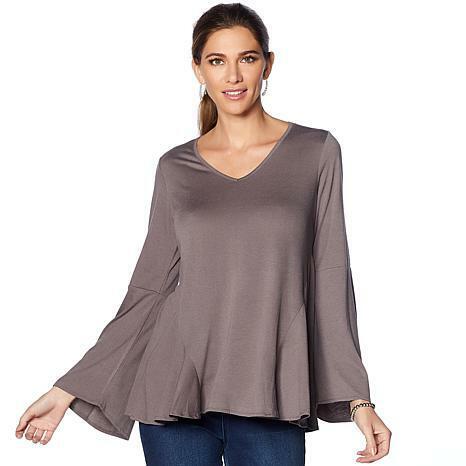 Side gussets create swing in this loose-fitting top, while bell sleeves make a graceful arc around the wrists. A tunic with flare..love the sleeves and they don't get in the way while eating or drinking as they fall back. Great style to dress up or down. Washes nicely. Good fabric, great style. Those gussets provide a little flair that gives you curves, which I can use. True to size; large is my usual in tops, and this large fits perfectly. I ordered the forest green, which is a very flattering color. I absolutely love everything about this top! Its figure flattering. Its soft and cozy. Its just the right weight to wear anytime of the year. Its pairs well with my DG2 faux leather leggings from last year. Bought the Forest Green...beautiful color. I did size down and fits great! These are very nice, long sleeves great for winter weather. 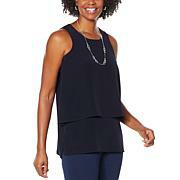 They are a little flirty with little peplum flare at bottom. Loose fit. Colors nice. Look great over a turtleneck too. Add a bit o crochet and reap the romantic rewards. 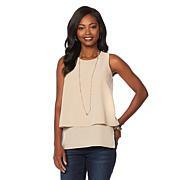 This top delightfully tops denim jeans, leggings and fitted skirts. 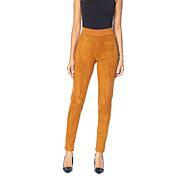 It' perfect for fall pictures and daytime holiday outings.